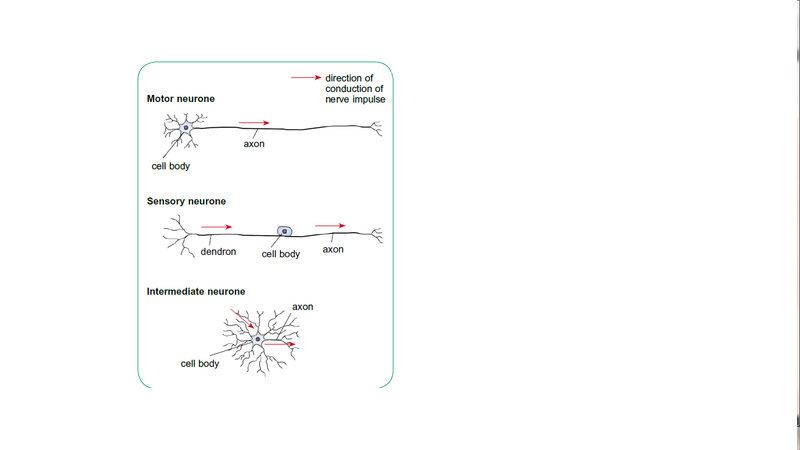 Nerves and central nervous system are made up of highly specialised cells called neurones. 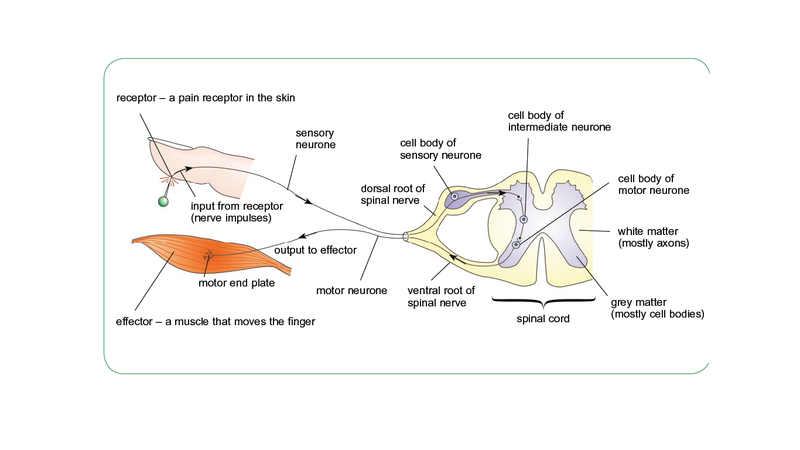 Function of motor neurone:-Transmit action potentials from the central nervous system to an effector such as a muscle or a glandLocation of motor neurones-Found in the brain or the spinal cordDendrite: (extended out from the cell body) conducts impulses towards the cell body (short processe)Axon: Conducts impulses away from the body, longer process too.An axon can be very long due to the cell being located in the spinal cord. 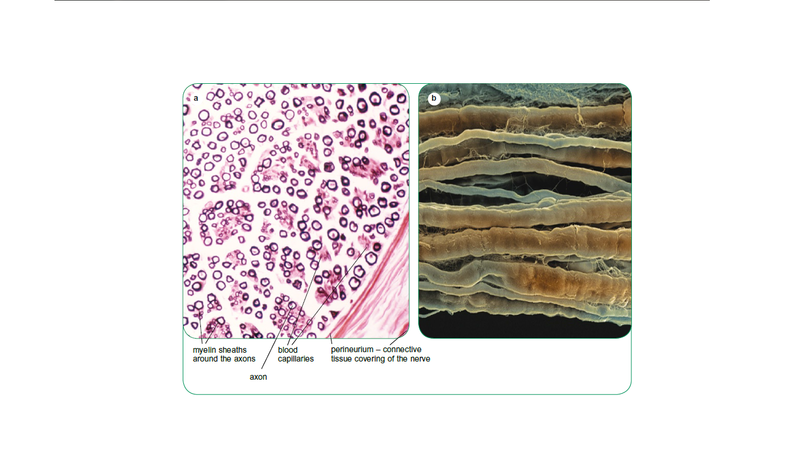 Organelles:-Usual organelles are presentE.g. 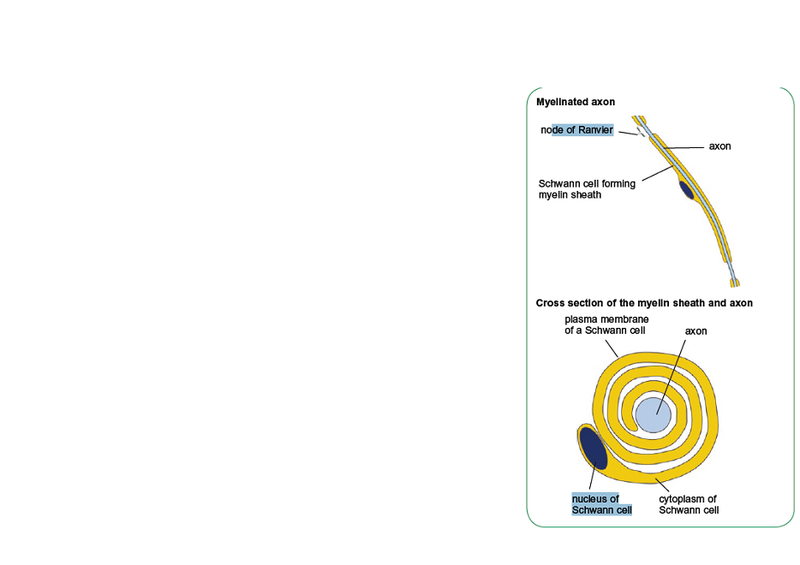 Mitochondria, endoplasmic reticulum, golgi apparatusLarge amount of mitochondria are found at the tips of the terminal branches of the axon, together with many vesicles containing chemicals called neurotransmitter substances. 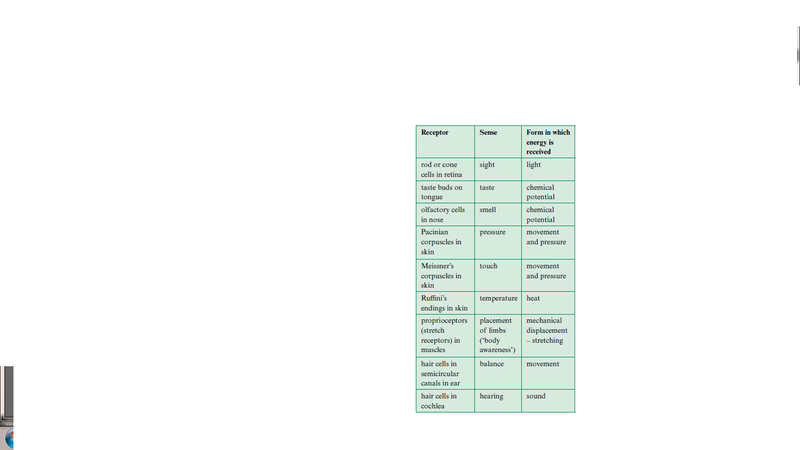 These are involved in passing nerve impulses from the neurone to a muscle. Structure of a nerveAxons of neurones are almost found in bundles. There maybe thousand of them lying side by side and surrounded by a protective covering called the perineurium.In short, it's like a cable with tons of electrical wires. Types of nervesSome nerves contain only sensory neurones, some only motor neurones and some for a mixture of both.These nerves are known as :-Sensory nerves-Motor nerves-Mixed nervesIn each type of nerve, some of the axons are myelinated and some are not. 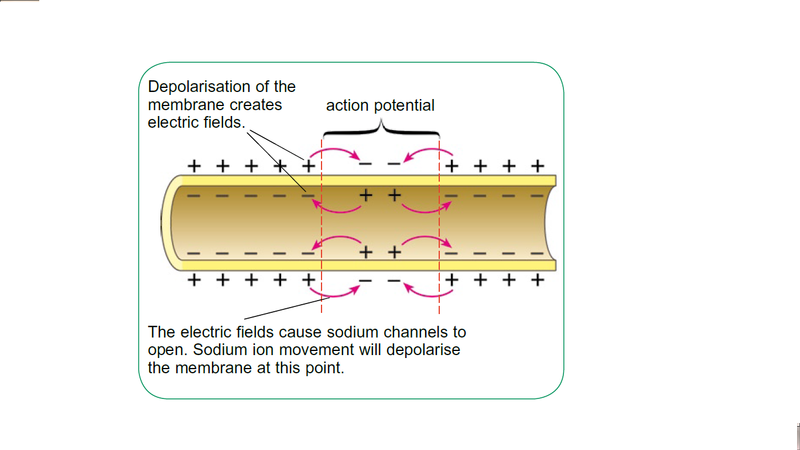 The reason behind this is because:-Electrical gradient-Chemical gradientChemical + Electrical = Electrochemical gradientElectrical gradient: The membrane has more positive charge on the outside than on the inside hence the ions move to equal out the charge on the two sidesChemical gradient:There are more sodium ions outside than inside so they diffuse inwards down their concentration gradient. 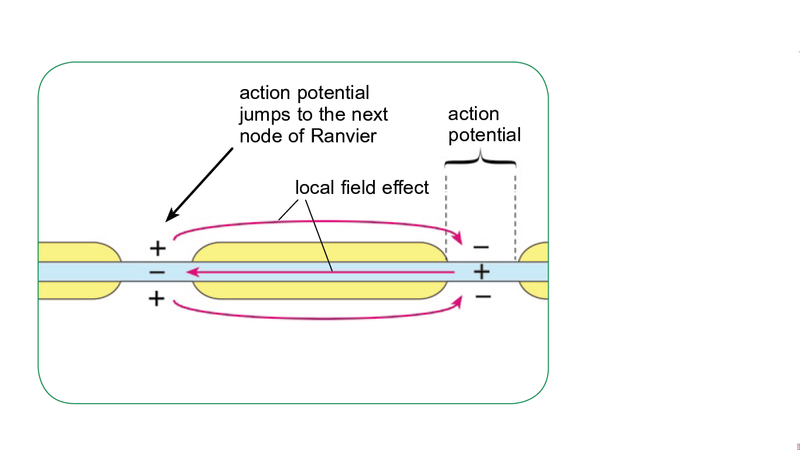 When an action potential at any point in an axon's membrane triggers the production of an action potential in the part of the membrane just next to it. 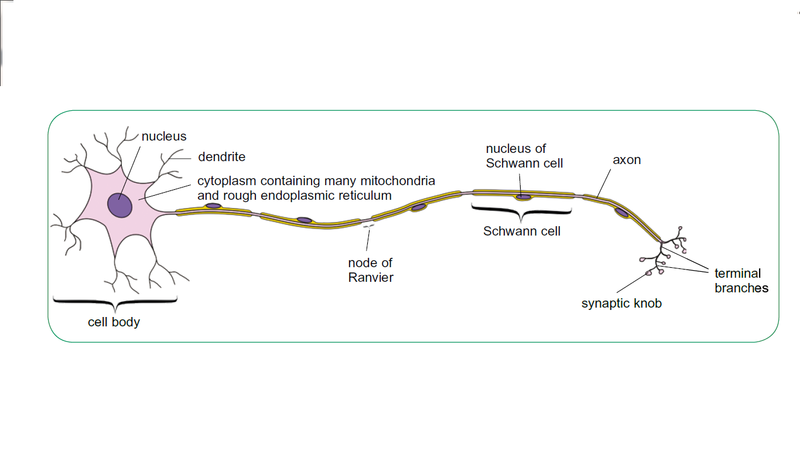 Speed of conduction:The speed at which an action potential sweeps along an axon is not the same for every neurone. 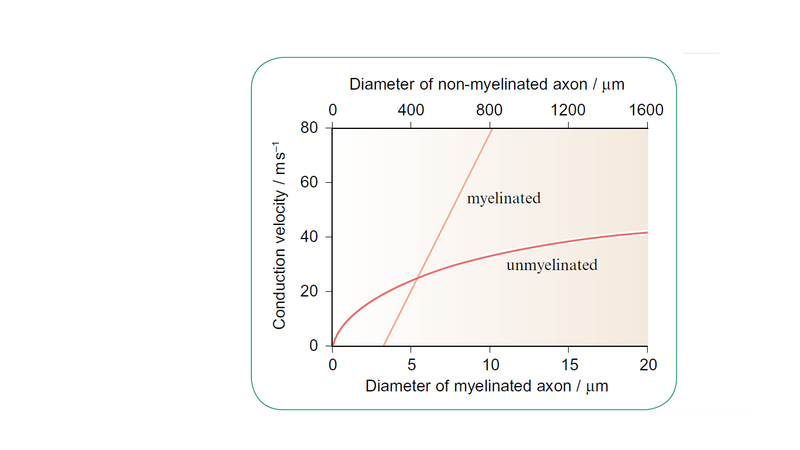 It depends on the diameter of the axon and whether it's myelinated or not.E.g: Earthworms respond quickly due to having 'giant axons' However, humans use a different system for speeding up transmission of nerve impulses. 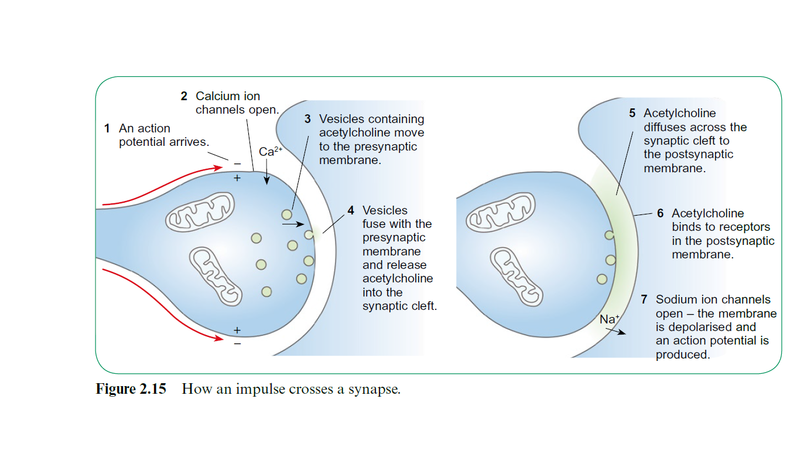 The "jump":Myelin insulates axon, speeding up the rate of transmission of an action potential along them.Sodium and potassium ions cannot flow through the myelin sheath so it's not possible for depolarisation or action potential to occur in parts of the axon that are surrounded by it.It can only happen between the sheathe, at the nodes of Ranvier.Hence, the potential 'jumps' from one node to the next one. It's known as saltatory conduction which speeds up the transmission up to 50 times. 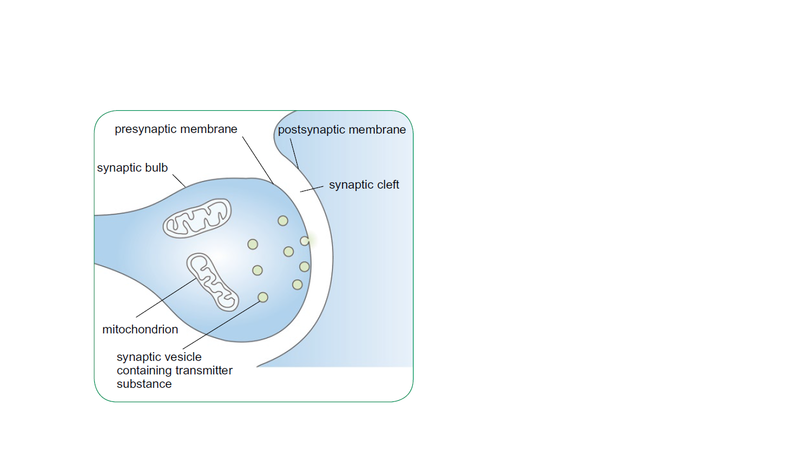 The receptors transform mechanical energy in whatever is causing the pressure to electrical energy in the neurone, acting as a transducer. 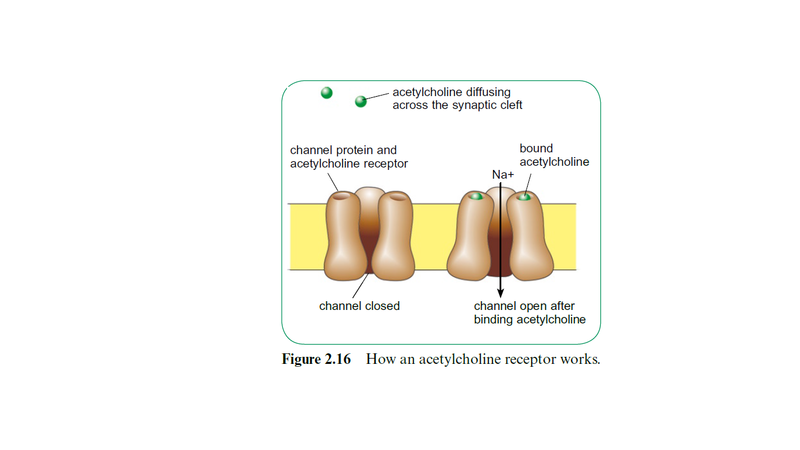 Receptors all work by converting a particular form of energy into nerve impulses. Interconnecting nerve pathwaysSynapses allow a wider range of behaviour than could be generated in a nervous system in which neurones were directly 'wired up' to each other. At most synapses, many different neurones converge so that different possible pathways for impulses are brought together. 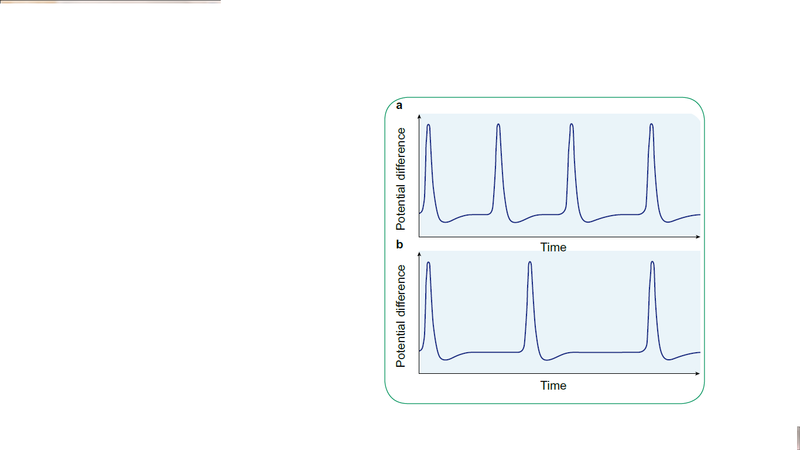 It may be necessary for action potentials to arrive along several neurones simultaneously before an action potential at certain synapses actually reduces the likelihood of an action potential starting up that neuroneThese are call 'inhibitory' synapses.